Today was a tough day for my family and I. We had to put our 18 year-old cat Mustache down. 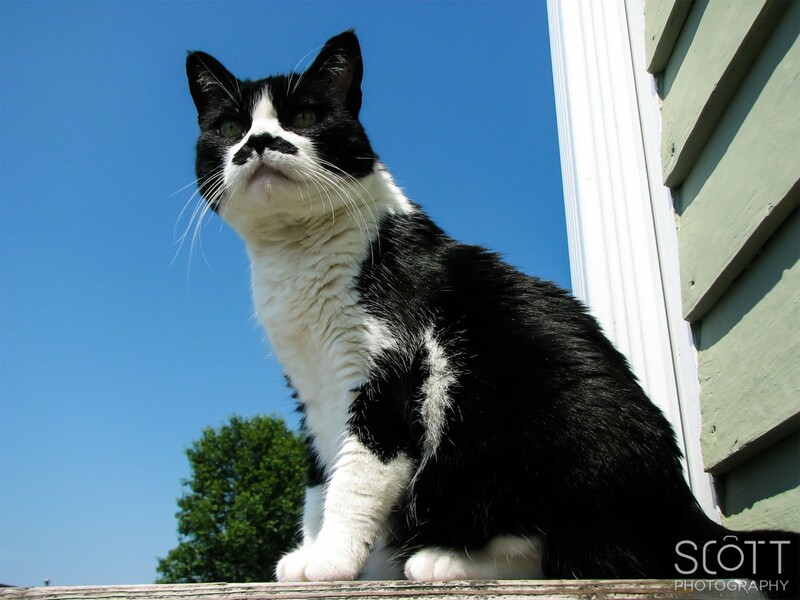 One night in October of 1997, Mustache walked up on our back porch. She was hungry and pregnant. We had another cat at the time, but couldn’t turn her away as we knew she was a recent stray. We knew this because her previous owners abused her and she had left their care (or lack-thereof). When we first took her in, she wouldn’t even purr or play with any toys. After a while she warmed up to us and started to become more comfortable around us. As the years went by, she developed routines which I’ll probably miss the most. Almost every night around 8-9pm she would head into the living room and wait for my dad to give her some treats. She’d usually stand up and balance on her back legs to get our attention. If she wasn’t in the living room, all you had to do was crinkle the treats bag a bit and she’d come running. Mustache, you were a great cat and we’re going to miss you dearly. This entry was posted in Animals and tagged in cat, mustache.